I’ve been using oil in my hair for as long as I can remember. When we were kids my mom had a weekly ritual of slathering our hair with coconut or almond oil depending on the season every Sunday night. Of course this meant we went to school with greasy hair all week, but she didn’t care. To this day she reminds me of my super long hair in elementary school (which I chopped into a bob in a act of teenage defiance), and is convinced that the oiling is what protected my locks from damage. Honestly, she’s probably right. Over the years I’ve tried many different mainstream hair masks and oils, but I always come back to my desi favourites. 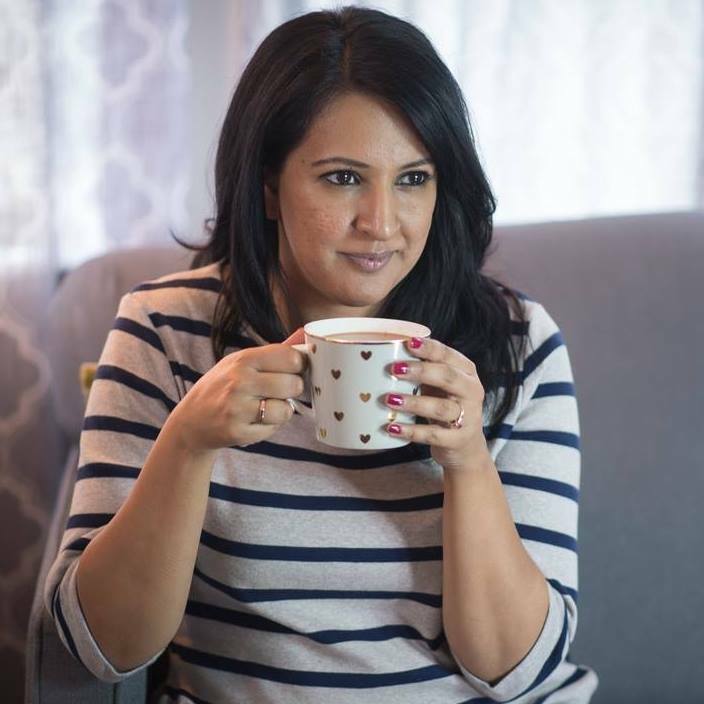 For a long time I relied on Dabur Amla oil, then I started making my own natural amla oil, and I also have my seasonal favourites; coconut, neem, and almond. In the summer I use a combination of coconut and neem on my hair and the kids. Before I tell you why I switch to this mix in the hotter months, I think it’s important we talk about oil and boy’s hair. I know it doesn’t seem as important as oiling long hair on girls – but the oil also helps the scalp. I try to put oil in Armaan’s hair at least once a week, especially cooling oils in the summer because he plays soccer outdoors. 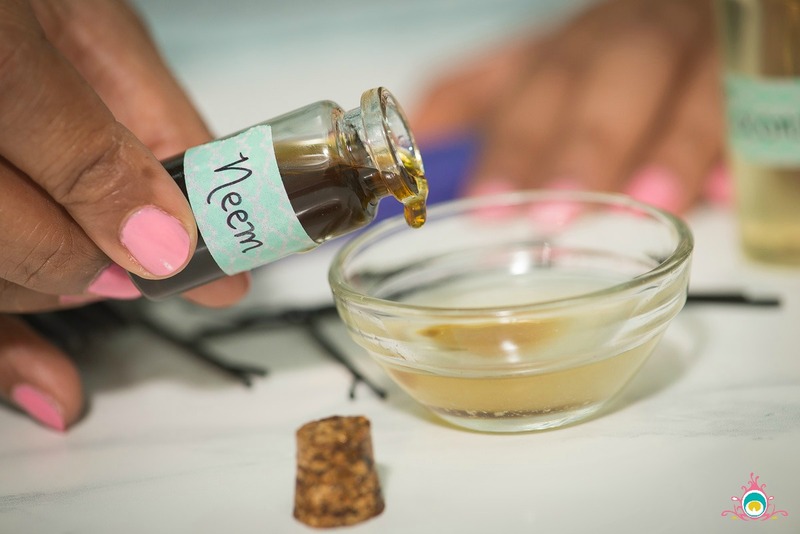 Neem oil is one of the most cooling oils in the Ayurveda, that is the number one reason I use it on my scalp in the summer, but it also offers other benefits to the hair. It fights frizz (which is a major issue for me in humid weather), conditions dry hair, and many people believe it promotes hair growth. I’m a bit weary about the saying a product promotes hair growth, but according to Ayurvedic principals, neem oil helps support the production of healthy blood, so that could help strengthen the root of the hair? My hair actually grows quite fast – when I shared my tips for hair growth last year, I also felt that my regular oiling practice helps with growth. Coconut oil also has a whole host of benefits for your hair including; slowing down hair loss, adding moisture and shine to your hair, helping to strengthen the hair, and preventing dandruff. So how do you actually use this stuff? 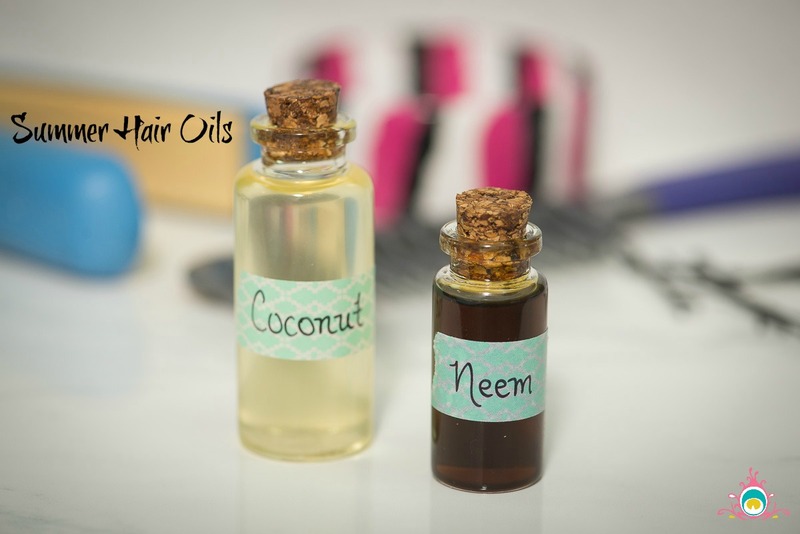 I mix about 2 tablespoons of really high quality coconut oil with 4-6 drops of neem oil (I use a concentrated and pure oil), for my shoulder length hair. If you hair is really long, you could easily use up to 4 tablespoons of coconut oil. Then you just rub the mixture all over your hair, cover with a shower cap and walk around for 4-6 hours letting it do it’s magic. Then I use a clarifying shampoo to wash it out. I don’t usually condition my hair on the days that I do an oiling treatment – which is once a week for me. My one word of caution with oils for your hair and body is do your research and buy the best quality you can. Don’t buy something loaded with chemicals or a base oil. I’ve found some great bargains at Costco for organic and natural oils. PS: Just like I change the oil I use in my hair for the summer weather, I also switch up the spices I cook with. Check out my summer spice box here. Next Post Hamilton Beach Ice Cream Maker – Review & Giveaway! The timing for this post is perfect! I was just having this conversation with a friend. Is there a particular brand of concentrated neem oil you prefer? I looked on Amazon and I was overwhelmed by the choices.